Normally after the weekend, we have left-over vegetables, so this is a dish to make when you have bits of different vegetables to use up, so the quantities are variable, depending on what you have. The pieces should be roughly bitesize, not too small or they will disintegrate. The important thing is to have a mixture of flavours. Enjoy! Red or white cabbage finely sliced and chopped. 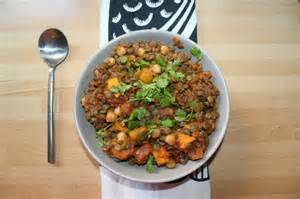 Boil the lentils with the carrots and parsnips until soft. Use just enough water to cover them, and cook with a lid, so that you get a soft mush. Season with salt and black pepper, and stir in enough tomato puree to change the colour. In a large pan, fry the onions until they start to soften. Add the herbs and sliced courgette or marrow, and stir fry until done. If you use butternut squash, it is easier to roast it in the oven until soft. Tip the cabbage into the pan, stir thoroughly, and cook with a lid on for about 3 minutes. Take the pan off the heat and stir in the lentil mixture, plus butternut squash. If you use spinach, stir it in now. 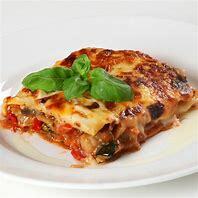 Put the mixture in an ovenproof dish, cover with the cheese, and cook in a hot oven for about 30 minutes, until the cheese is browned. You don’t need to serve anything with it, but it goes well with baked potatoes or bread and butter, and sausages or cold meat.